In May 2011, Drew Ryun, a conservative activist and former Republican National Committee staffer, began filling out the Internal Revenue Service application to achieve nonprofit status for a new conservative watchdog group. He submitted the paperwork to the IRS in July 2011 for a research site called Media Trackers, which calls itself a "non-partisan investigative watchdog dedicated to promoting accountability in the media and government." Although the site has investigated Republicans like Ohio Gov. John Kasich and Florida Gov. Rick Scott, the site's organizers are unapologetically conservative. "One thing we don't hide is: 'Yeah, we're conservative—free-market, free-enterprise, full-spectrum conservative,'" Ryun told Mother Jones magazine last year. Eight months passed without word from the agency about the group's application, Ryun said. In February 2012, Ryun's attorney contacted the IRS to ask if it needed more information to secure its nonprofit status as a 501(c)3 organization. According to Ryun, the IRS told him that the application was being processed by the agency's office in Cincinnati, Ohio—the same one currently facing scrutiny for targeting conservative groups—and to check back in two months. As directed, Ryun followed up with the IRS in April 2012, and was told that Media Trackers' application was still under review. When September 2012 arrived with still no word from the IRS, Ryun determined that Media Trackers would likely never obtain standalone nonprofit status, and he tried a new approach: He applied for permanent nonprofit status for a separate group called Greenhouse Solutions, a pre-existing organization that was reaching the end of its determination period. The IRS approved Greenhouse Solutions' request for permanent nonprofit status in three weeks. The reason for the difference in timing could have nothing to do with the group's name. Greenhouse Solutions was applying for "permanent" nonprofit status after existing as a nonprofit group for some time. 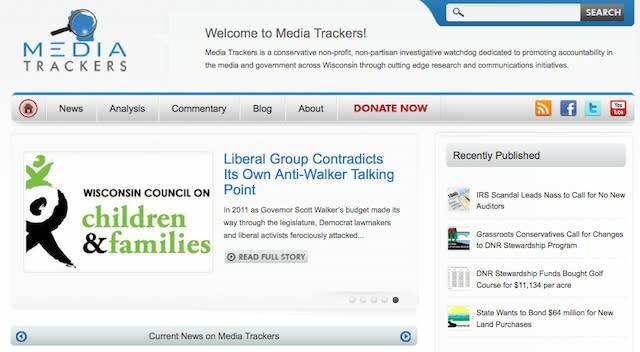 Media Trackers, a new group, was just beginning the first steps in the application process. Having a previous file with the IRS could very well have been the reason Greenhouse's application was approved so quickly. But when news broke last week that the IRS had applied heavier scrutiny to conservative groups seeking nonprofit status from 2010-2012, Ryun said he became convinced that his second application was approved quickly because he applied under the Greenhouse Solutions title, which he called a "liberal-sounding name." "Within three weeks, Greenhouse received permanent nonprofit status from the IRS, and the IRS approval was transmitted to us from its Cincinnati office. We then rolled the Media Trackers project into Greenhouse and began work on a number of new projects," Ryun told Yahoo News in an interview. "Do I think we benefited from what many think is a liberal-sounding name? Absolutely." The IRS website explains why some requests for tax-exempt status take longer than others to process. "Sometimes, representatives of exempt organizations and practitioners question why certain applications for tax exemption are processed faster than others. Not all applications are the same," the site reads. "While many are complete when received and involve straight-forward scenarios, others may be incomplete or involve complex issues that require further development." The IRS is currently under fire from both Democrats and Republicans, and Attorney General Eric Holder on Tuesday announced that he had directed the FBI to launch a criminal probe into the IRS. The same day, the Treasury inspector general for tax administration submitted a review of the IRS' practices, which found that the agency had used "inappropriate criteria" to determine which groups were eligible for nonprofit status. Current and former IRS officials are expected to testify about the issue before House committees starting Friday.